Video Editing Project -Students will practice using iPad with mobile iMovie app and Adobe Premiere Pro Creative Cloud on Apple computer, a non-linear editing software, and will be given several video clips to create a video. This video was created on an iPhone 6 and edited with iMovie App on iPhone. Free music from YouTube, Open Sea Morning by Puddle Infinity, Creative Commons usage. Deliver to the D2L only, assignments not accepted by email, will be deleted. You can work with your video partners on this project. Each person must submit their own copy to the D2L along with a screen shot of the uploaded video on their personal YouTube channel as an UNLISTED video. *****Only completing Part 1 of this assignment. Part 1 – There will be one YouTube video link for a video shot with an iPad and edited with iMovie mobile app, uploaded to YouTube. Part 2 – There will be a second video shot with iPad, edited with Adobe Premiere Pro on Apple. You can edit the same video or a new video. 2. Screen shots: Provide a screen shot of video after it has been posted on YouTube. Make sure you provide a title and caption for your video. Part 1 – You will need a screen shot of the video in iMovie app on iPad for the first video. 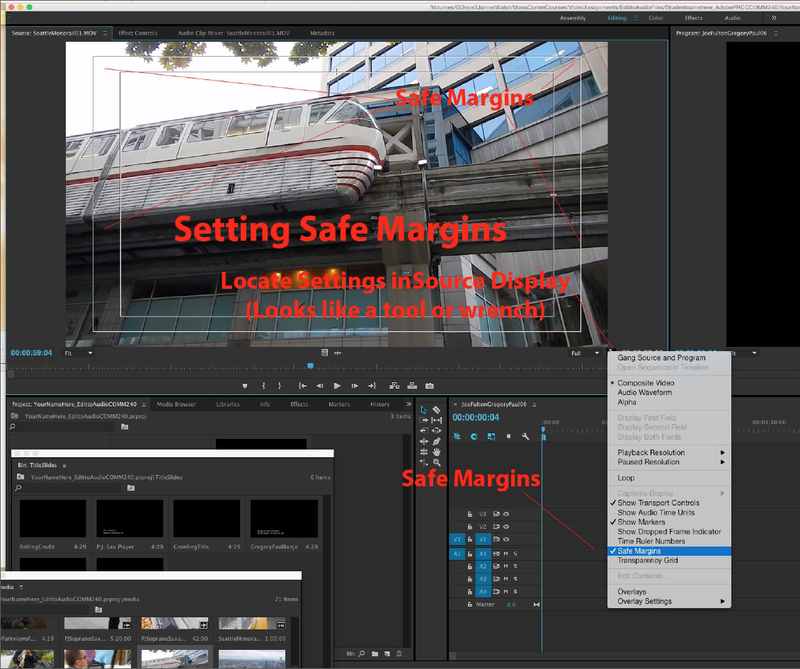 Part 2 – You will need a screen shot of the video while it is Adobe Premiere Pro from Apple computer. Applications – Using iMovie app on iPad Adobe Premiere Pro Creative Cloud. Note: Video shot from an iPhone will be accepted, must follow all the requirements listed below. You will require your own camera mount for tripod and must use a microphone. Don’t proceed unless you are sure you know what you are doing. If not, use the provided iPads. You need to create a folder on your personal portable hard drive, the DataHD for storing your video. It’s your responsibility to keep your video in two locations for safe keeping. See the course syllabus. When you download your video for all your video projects you will allows put your video or media clips in the media folder. READ THIS BEFORE YOU CONTINUE – For the first portion of this assignment students will shoot video with iPad kit and also checkout the standard sized tripod. The kit comes with a short or table top tripod, but you will also need the standard tripod. You will need to ask for the tripod. Tutorials – Be in class for the iPad demonstration along with video edit with iMovie App. If you miss class, it’s up to you to get help. You will likely be shooting, editing and uploading video to YouTube all during one class. Requirements – You will be shooting a short video, no more than 2 minutes, with the iPad and learning to edit it in class, uploading to your YouTube account. The emphasis is learning, to use the iPad, iMovie and uploading to YouTube. Music (optional) – You can use the music, not required, for this video, part of the iMovie App. It’s good to know how to work with music. You must give credit to the music, see example listed above with the kayak, in the video end credits and the video description. Required – Must have an opening title and credits title with videographers names, date and location. Example: Video by Jim Smith and Jane Doe, St. Cloud State University, Nov. 10, 2016. Required – Include copyright details: Example: ©2016 Jim Smith. All Rights Revered. Save video – If you want to use the same video for part two of this assignment, editing it with Adobe Premiere Pro, you will need to download the video and save it to your Video Folder. CAUTION: If you do not download your video from the iPad, it will likely be deleted. You can also delete any video that’s on your the iPad you use to make sure you have enough storage to shoot your video. Launch Image Capture APP – You might need to search or go to Applications. This app comes with all Apple computers, but it might not be located on the dock. Ask for help if you are not sure. Attach the cable from the iPad or iPhone to the Apple Computer. Your device will appear, if you see a lock, you will need to unlock device. Navigate to your Video Folder – See Import To: You will need to select OTHER, and find your folder or create a new folder. Make sure you know where your video is going to be stored! If your video is not located in the media folder, move it now. The process should now be complete. Make sure you save your video in more than one location or be prepared to reshoot. Part 2 – You will need a screen shot of the video in iMovie app on iPad for the first video. How to take a screenshot with iPhone, learn how. November 9, 2017, end of day, 11:59 p.m., delivered to the D2L only, email assignments deleted. 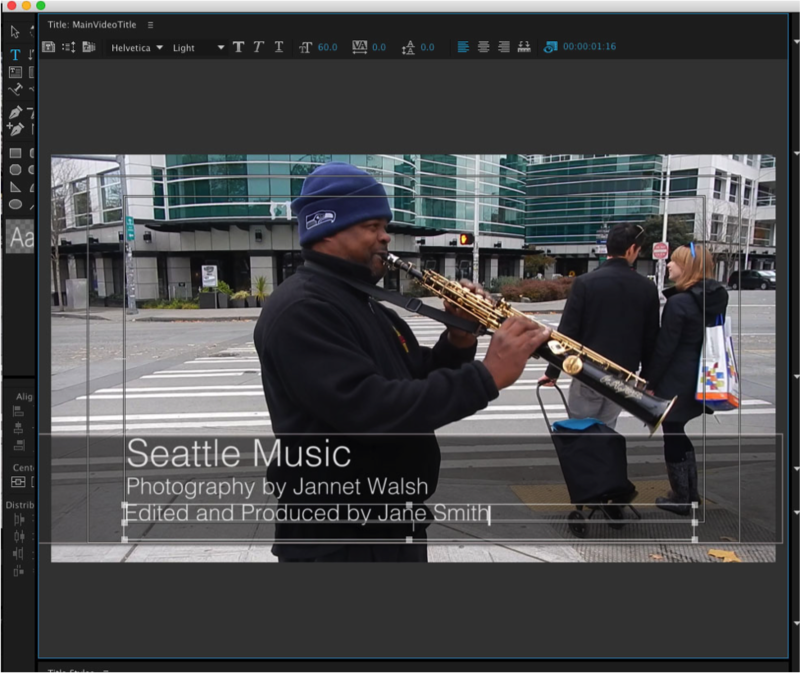 Tutorials – Be in class for the Adobe Premiere Pro demonstration. Have your video ready to edit in class. If you miss class, it’s up to you to get help. You will likely be shooting, editing and uploading video to YouTube all during one class. 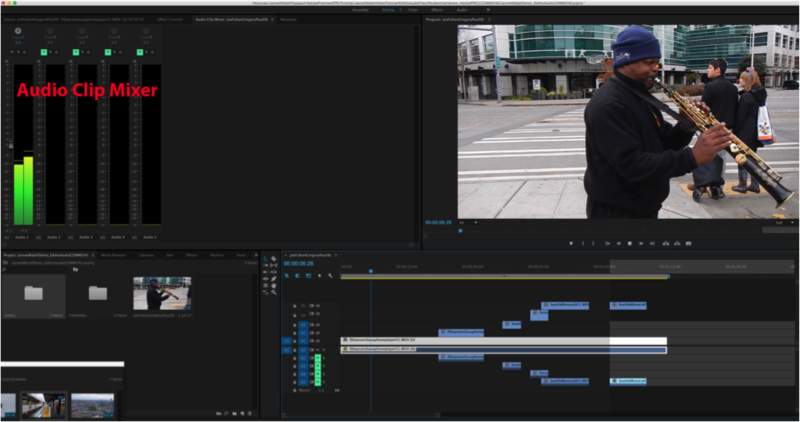 You should watch the videos before before you start editing with Adobe Premiere Pro. You can edit the same video you shot for Part 1 of this assignment or shoot another video. The emphasis is learning to edit with Adobe Premiere Pro, uploading to YouTube. 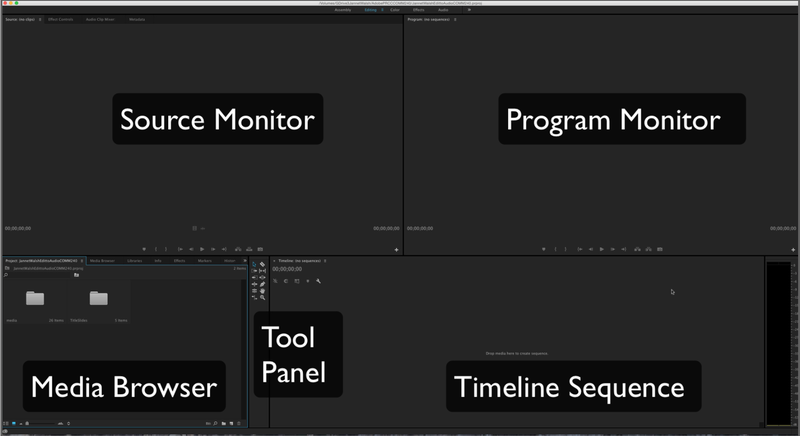 You will be editing your video, no more than 2 minutes in length, with Adobe Premiere Pro. Copyright credits, same as above, using the rolling credits. Music is required – Must be Creative Commons or not copyrighted. You must give credit to the music, see example listed above with the kayak, in the video end credits and the video description. Music Required – Keep it legal! Use music in your video, but you must legally be able to use the audio track, such as Creative Commons license, Public Domain. You must give credit in your end title for music on your video for music, listing music title, artist and the license you have to use the audio. It’s very important you learn how to edit video to be prepared for the final video project. 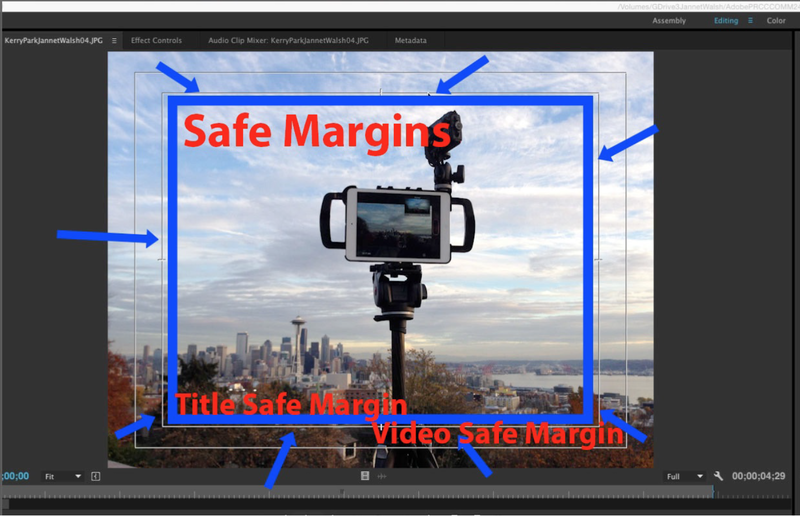 Set Safe Margin – If you don’t see two white boxes in the Source Monitor, the video safe margins have not been turned on. The inner box is the safe area for video and the outer box is the video safe area. This helps make sure your content displayed properly on monitors. To set Safe Margins: From the Source Monitor, click on the icon of the wrench, click on Safe Margin, and the set of margins will appear. Command + S, save. Go to File, Export, then Media. An export window will open. 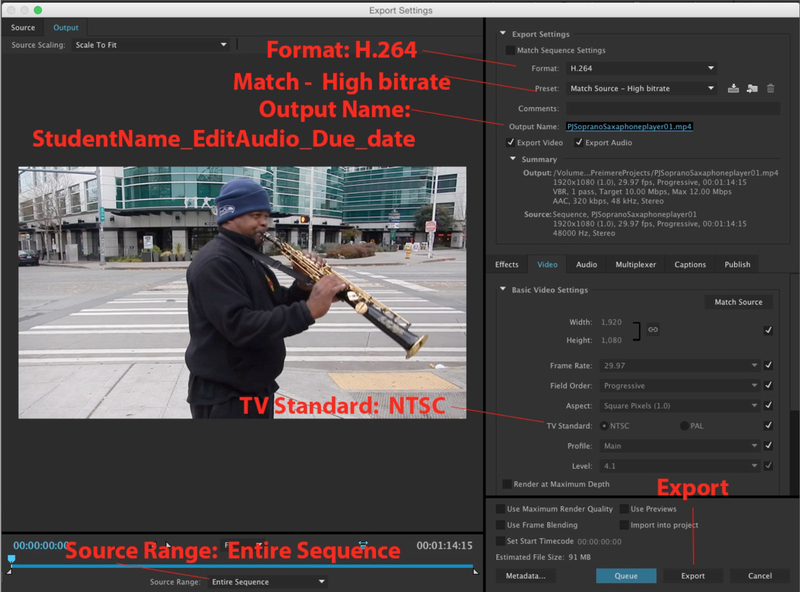 Preset: Match – High bitrate, on right side of export window. Make sure it’s not on another setting. Output Name: Student name, VideoFinal and project due date. Name video file something that you know what the video is about. TV Standard: NTSC, located on right side of export window. Select Export button – Export button is located on bottom right corner of export window. The export will take about the same amount of time as the running time of the video you created. Review the assignment and checklist before uploading to YouTube. Make sure you have all the requirements for your video. 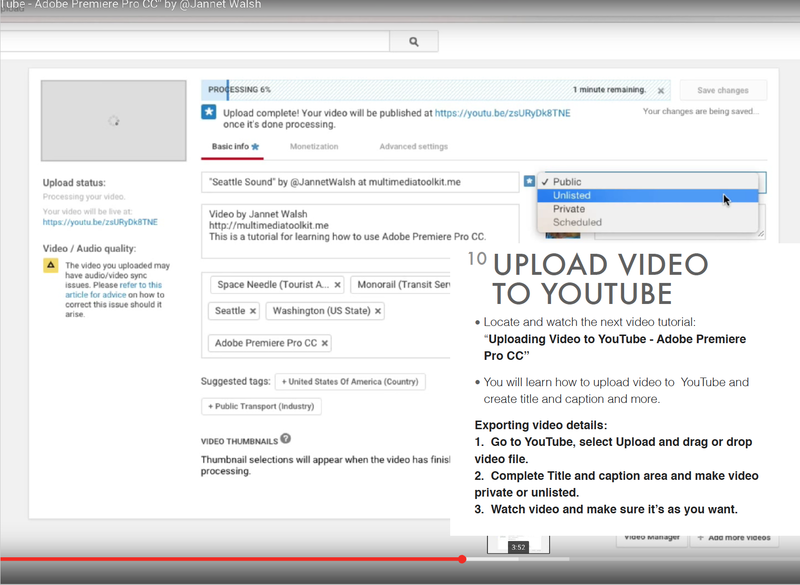 Use this list before exporting and uploading your video to YouTube. If you have followed the directions in the video tutorials, then you will be on track. Length of video – The length of the video is just over one minute, depending on editing. 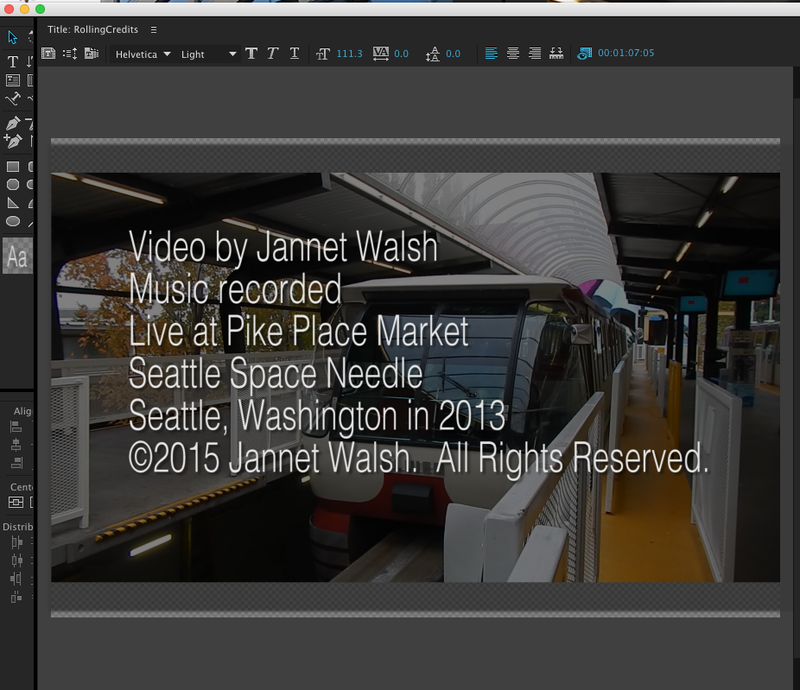 There’s many ways to edit a video with media clips and title slides. You have adjusted the audio levels to about -6 db, making it easy to listen to and not too loud. If the audio meter is not indicating any red levels, you have properly adjusted the audio. The Main Video Title has been updated with your details, along for the edited and produced by with your name and video partner’s names. The Rolling Title has been updated with your details for the edited and produced by with your name. Lower Third and Crawling Title have been added to the video project. 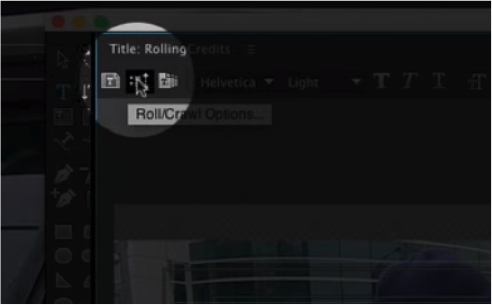 B-Roll has been added to video. The video is well paced and the B-Roll appears to match the rhythm of the music. The video clips match the music flow and the edits are clean, with no gabs. Video transitions are added, but not necessary. Go to File, Export, then Media. Go to YouTube, select Upload and drag or drop video file. Complete title and caption area, make video UNLISTED, NOT PUBLIC or NOT PRIVATE! Watch video and make sure it’s as you want and can see it all. Deliver final video by due date – Send a link of UNLISTED YouTube video link and a screen shot of video on YouTube to the D2L. Pacing is poor; there seems to be little relationship between the music and the timing of the visuals. There is little obvious connection between clip choices and music; they seem to have been selected and put together completely at random. Serious technical flaws: many gaps and/or stray frames, or large gaps, or poorly executed transitions, etc.